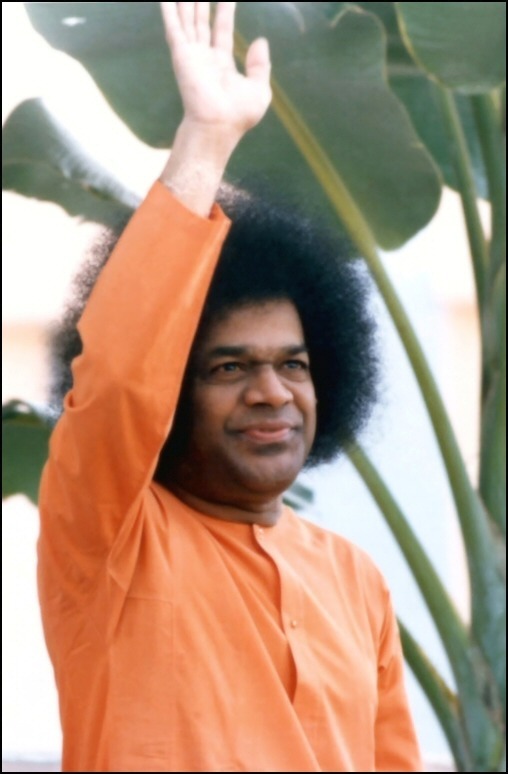 Knowing that Bhagawan Sri Sathya Sai Baba has advised against offering of garlands to Him, children of the Vidya Vihar at Ooty hit upon an acceptable method of presenting Swami with a “garland” in the entertainment programme they got up during Bhagawan’s stay there in April. One March evening I found myself dropped like a hot cake within the towering grey walls of a convent school run by foreign missionaries in a Himalayan town and the gates closed behind me. I found myself amidst sons of ministers, aristocrats, diplomats, and what not. I found something missing in them. I could not help stealing away from their company. At times I felt lost in this big world, but slowly learnt to accept it as a part of my life. I kept myself at a safe distance from the stern looking missionaries. Not a day passed without my hearing the “whoosh! Whoosh!” of a cane and uncontrollable sobs and cries of some unfortunate child. I was destined to spend a fraction of my life there. One day I received a rude shock. 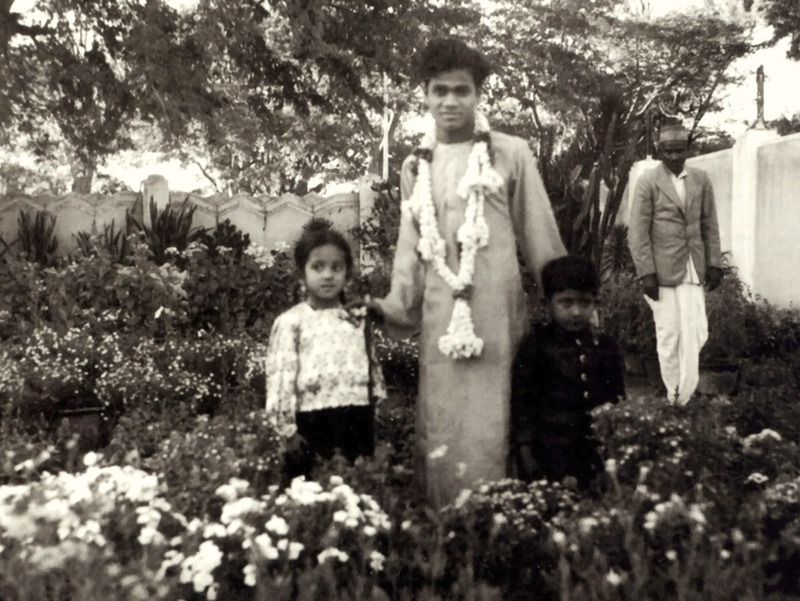 A photograph of Bhagawan Sri Sathya Sai Baba which I had with me was taken away and was locked in a cupboard. In my loneliness I derived consolation from the book, “Sathya Sai Speaks” which was kept well hidden beneath my bed as I feared it would be confiscated too. One cold night, just before supper, the warden came in with a grim face and announced, “Henceforth none shall keep any books beneath their beds. If books are found they shall be confiscated. Even if any religious books are found, they shall be torn into bits. The boys found guilty shall be caned severely.” My heart leaped on hearing this and it raced fast. The supper refused to pass down my gullets. I rose and walked out of the dining hall. I tucked my gloved hands into the pockets of my overcoat and went out into the open grounds behind the convent. An icy wind from the snow covered mountains greeted me. I brooded, “what am I to do with that book of Swami. How could I give it away! It was my only source of joy and consolation, whose support and companionship I sought during those deserted moments.” My mind was now determined that I would continue to keep it beneath my pillow and face the consequences. I knew it was a severe test, and my Lord would make me pass. A week passed and nothing happened. None had come to check. One night, it was roundabout 10. I was still wide awake in my bed. The cold wind from the Himalayas whistled outside my window and it made the glass window rattle loudly. All the boys in my dormitory were fast asleep, perhaps dreaming of angels and fairies, unaware of the terror that was to strike that night. The lights of the dormitory were suddenly put on. There stood the warden with another missionary with a thick cane in his hand, that knew no compassion. They pulled the sleeping boys out of the bed and the beds were checked. Many had comics and fairy tale books which were found beneath their beds. Blows rained upon them. The cane fell upon them terribly, its sound came rhythmically, and the cries for mercy; equally kept pace with it. While it was freezing outside, I was perspiring profusely. I covered myself and lay still and chanted the Gayatri Mantra frantically. I could hear the soft footsteps of the missionary approaching my bed. It was my turn now. I felt a light tap. My lips went dry. My tongue refused to chant any mantram. But I felt myself yelling within, “Baba! Baba! Baba!” I opened my eyes and tried to present an innocent look. I slowly got off my bed. The missionary gave me a sarcastic smile. I was afraid, surely not of the cane, as I was cocksure that my soul would jump out before the cane could land on me. I feared the dreadful fate that awaited the book. The missionary overturned my pillow with his cane and “Sathya Sai speaks” showed itself lovingly. He looked at me ferociously. He hit the book with the cane. I felt the blow, a little cry escaped from my lips. He asked me, raising his gruff voice, “What is that I see?” I remained silent. The boys stood motionless in dreadful silence, while tears streamed down the cheeks of some. The angry missionary pounced on the book, and took it in his big rough hands. The story of Prahlada and the saviour Lord Narasimha flashed back in my mind! I stood in terror expecting him to tear it into bits. But I found the book still safe in his hands. He was staring at it and kept muttering: “Sathya Sai Speaks! 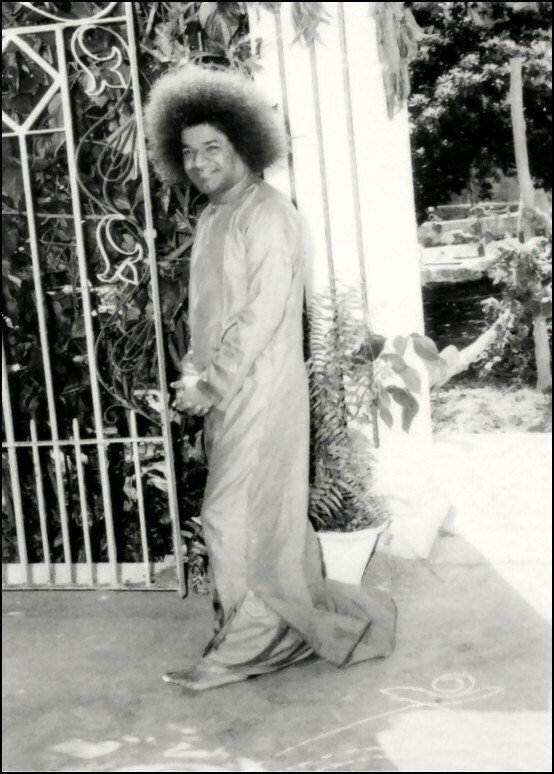 Sathya Sai Speaks! 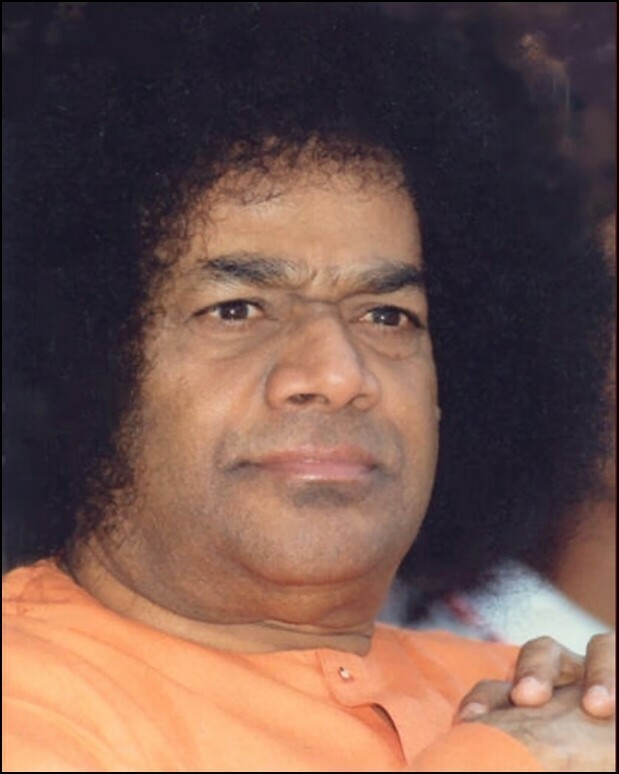 Sathya Sai Speaks!” He stared at it unceasingly and after a few minutes he opened the book. The picture of our benevolent Sai stared at him. He stared at the beautiful picture and it stared back at him. I wondered what had happened to him. A few minutes later the missionary asked me softly, “Who is he?” I was silent, and felt I had lost my voice. 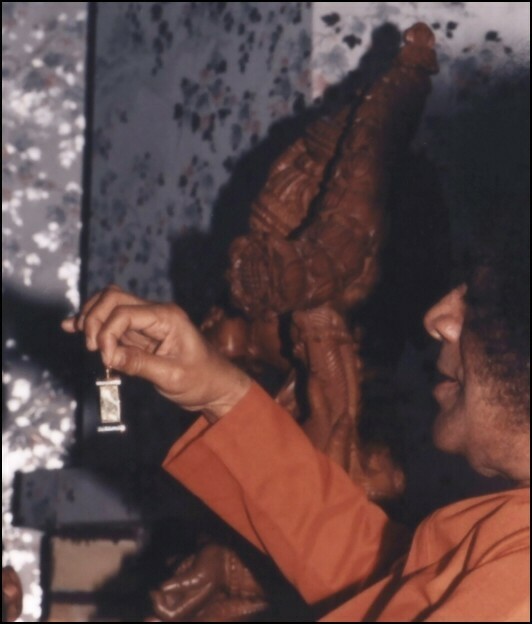 He repeated his question again, “Who is He?” Finding my voice, I said, “SAI BABA!” The cane fell from his hand. He stared at the picture with greater concentration. I did not know what was happening to him. Even now I am at a loss to know what happened in those few fleeting moments between the missionary and Bhagawan Sri Sathya Sai Baba. It remains still a baffling mystery to me. The missionary placed the book gently on my bed, to the astonishment of all, and tip toed out of the room. Tears of joy and gratitude trickled down my cheeks, for my beloved Lord had made me feel the warmth of His Love even in the distant Himalayan region.